EDITION: c1988, 8th 2007, Puffin. Matilda Wormwood's father is a mean crooked crook. And her mother's just plain stupid. They think Matilda is a nuisance who should watch more TV and read fewer books! 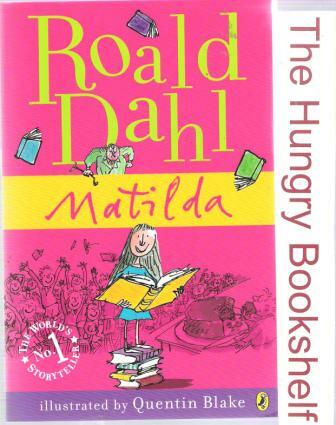 But her lovely teacher Miss Honey thinks Matilda is a genius. Matilda has a few extraordinary tricks up her sleeve, so her horrible parents and even more horrible headmistress had better watch out.